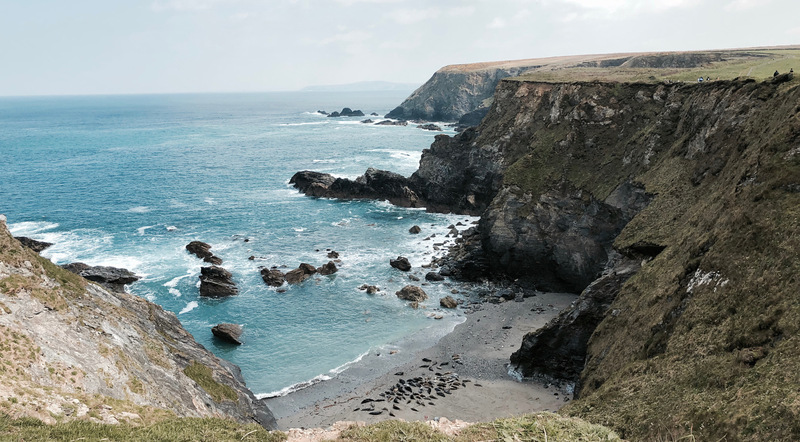 With the Easter holidays unofficially starting the tourist rush into Cornwall, we thought we’d start a mini-blog series of our favourite beaches around the county. Whether you’re a long-time resident of Cornwall or a first-time visitor, the beaches of Cornwall never lose their appeal. But with the over 300 to choose from, where do you possibly start? For us, this is a chance to share some of our favourites and also an excuse for us to get out exploring! For the first entry of our ‘favourite beaches’ series, we’ll look at our forever favourite: Godrevy. Yes, we’ve spoken about Godrevy before but it’s just THAT good. The stretch of beach from Hayle up towards Godrevy can get confusing; to the uninformed it’s just one expanse of the same Cornish beach. But Godrevy sits the furthest north of it all, indicated by the iconic Godrevy lighthouse. Its location means that it gets left exposed to the elements at times but the exposure brings the best waves. Lifeguards operate from May until September so you can surf safely no matter your ability. The beach often gets a great swell that will give you an enjoyable surf, but it can be unpredictable thanks to its location at the mouth of the bay. A popular spot for locals, Godrevy is one that we spend a lot of time at — especially given the proximity to our office! We love nothing more than heading here before or after a day in the office for that kick that only surfing gives you. 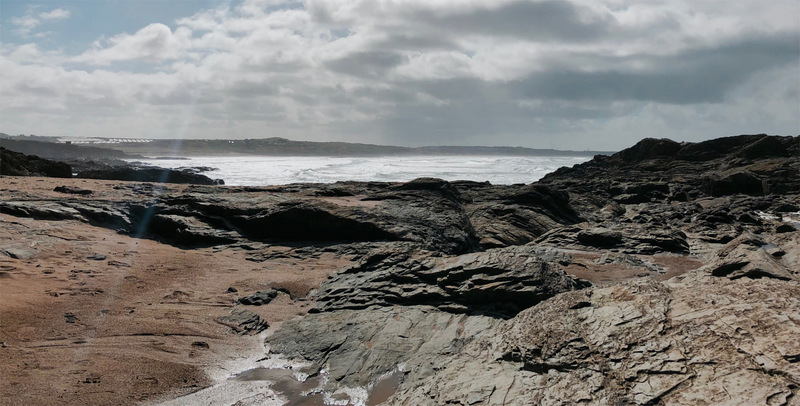 If surfing isn’t for you, Godrevy is still worth the visit. Covered in the picture-perfect golden sand, the beach is what you expect when you visit Cornwall, and the rocky outcrops provide plenty of space for exploring at low tide. Additionally, the beach is situated along the coastal paths of Cornwall. Be sure to walk north towards Hells Mouth and try to see the seal colony at Mutton Cove. To top it all off, sitting just back from the dunes is Godrevy Cafe. Open all year round and dog-friendly(! ), the cafe has a menu worth boasting about. Though it can get busy in the middle of the season, it’s most definitely worth the wait. It’s also worth noting that the National Trust owns and maintains Godrevy. This allows the beach to be meticulously maintained, and is often one of the cleaner beaches around. The National Trust also operate the carparks for the beach so it is free for members all year. We must make it abundantly clear that we love the beaches and sharing the beaches with everyone. But if we want the beaches to be as great as we know they are for years to come then we must act responsibly. Taking your rubbish with you and leave the beach in a better state than you found it. And be sure to pay attention to the signs around the beach warning of erosion. Finally, listen to the lifeguards and be aware of the flags and their meaning. They are there for your safety and they know the beach conditions better than anyone else. Where is your favourite Cornish beach? Be sure to let us know! Posted in Cornwall, Favourite Beaches and tagged Beach, Cornwall, Favourite Beaches, godrevy, summer, surf.